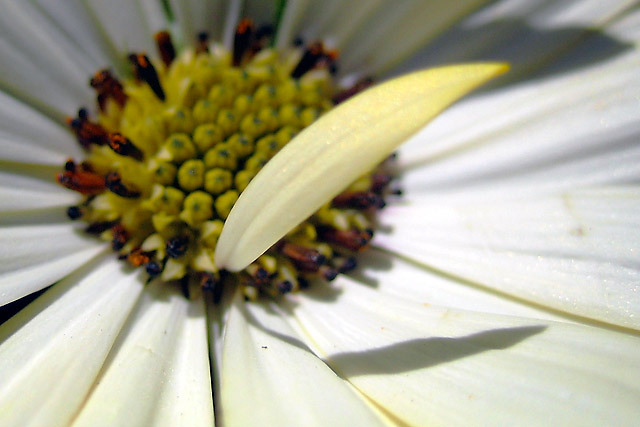 Flower IV: Daisy with a rebel petal. Bloomers Garden Center, Monte Rio, California. Snapped on: June 4, 2005. Canon PowerShot SD200 , digital macro mode.